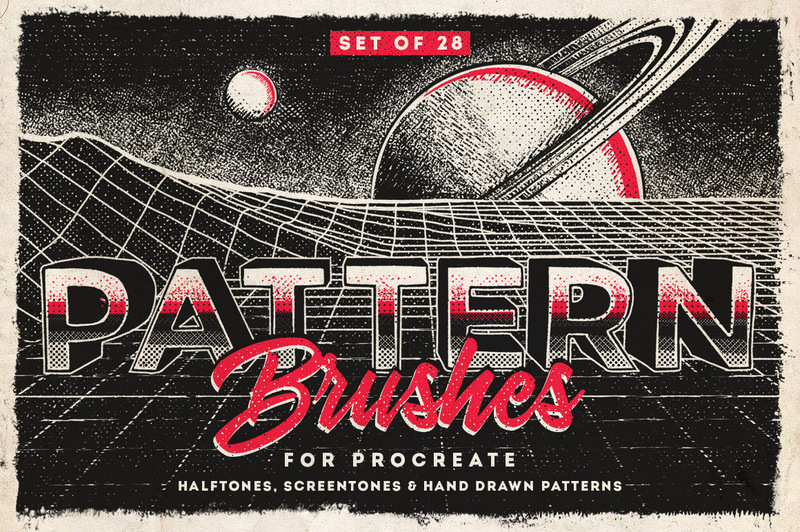 This Procreate brushes set includes a collection of 28 seamless pattern brushes, to create varied textures or to add shading to your illustrations! There’s also a bonus inker brush included, so you can use this one to trace the outlines of your drawings. 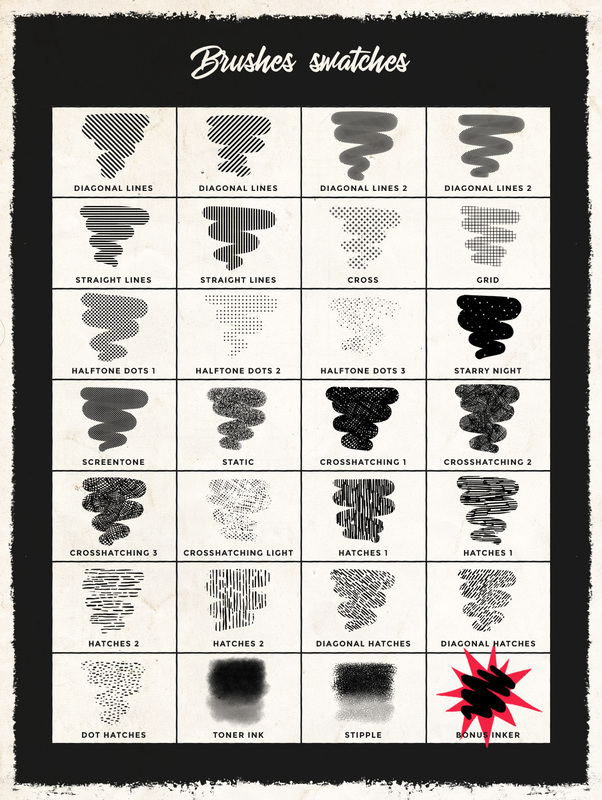 These brushes are great for adding a retro or comic book touch to your artworks – some of them can be layered for texture variations.